2017 is almost over: it’s time for balances, good intentions for the new year, but above all it’s time to organize New Year’s Eve night, in order to greet 2018 in the best possible way! Dinners, exclusive clubs, concerts, art: Milan offers many things to do for those looking for a special night. These are our suggestions for an unforgettable New Year’s Eve. If you want to spend an original New Year’s Eve and avoid the typical crowded clubs in Milan, we’ll suggest you the Triennale Bovisa in via Lambruschini, the field seat of the Triennale of Milan. The space, that hosts more than 1.500 square meters of contemporary art exhibitions, will be open and free till 1:00 am, with midnight toast and the music by the team of Radio Deejay during the whole evening. If for New Year’s Eve you can’t do without a perfect dinner, we’ll suggest you “Unico Milano” restaurant, which has a stunning view over the city. Placed on the twentieth floor of the WJC Tower, in the Portello district, the restaurant offers refined dishes, with a distinctive flavour. The New Year’s Eve menu, cooked by the chef Fabrizio Ferrari, includes several delicacies, like the lobster “Millefoglie”, spicy bread and honey or the fondue-filled raviolo. Let’s now talk about a great classic of the Milanese New Year’s Eve: the concert in Piazza Duomo. The event is promoted by The Municipality of Milan and many singers will participate (among them Luca Carboni and Fabri Fibra), but also comedians and show people, that will entertain the public till the midnight toast. Dive in the Nineties at the Fabrique New Year’s Eve party, “90’s Fever”. The playlist of the event will honour artists like the Oasis, Madonna, Blur, Take That and many others! A really interesting event is the one organized by Santeria Social Club, a former car dealer, which has now become a cultural centre, and by Body Heat, a Milanese recording label and music platform. 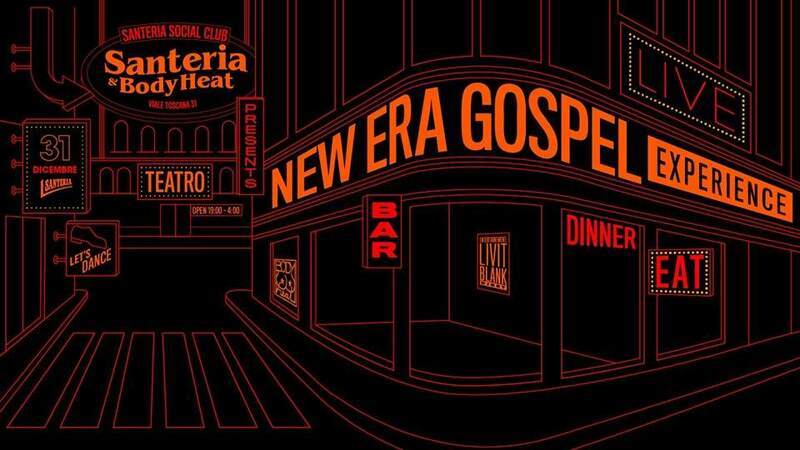 For New Year’s Eve the club will organize a “New Era Gospel Experience”, that is a gospel concert which is going to make you dance to the beat of funk, disco and house music, avoiding on purpose the classical Christmas hits. Are you ready to live your New Year’s Eve in Milan? Happy holidays from all the Brera Apartments’ team!